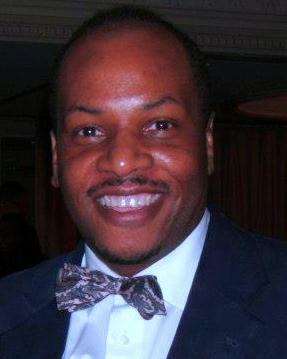 Lawrence Jones, Ph.D. is a graduate of Webster University with a B.A. in biology, a graduate of the Masters in Biotechnology program from Johns Hopkins University and a graduate of the University of Maryland at Baltimore County (UMBC) Masters in Public Policy. He obtained Certificates in Entrepreneurship from the Johns Hopkins Carey Business School Innovate Program and in Business Development from the nationally acclaimed I-corps lean customer discovery program. Both programs were funded by the National Science Foundation (NSF) and both were attended in Montgomery County Maryland. Dr. Jones received his Ph.D. in Organizational Leadership from Regent University in the School of Business and Leadership with a concentration in Entrepreneurial Leadership. He has a vast breadth of professional employment experiences by way of laboratory technical positions from the bench to managerial level positions at the Johns Hopkins School of Medicine and the Johns Hopkins Bloomberg School of Public Health, to industry in the Rockville, Maryland biospace arena with the BioReliance Corporation and in consulting for emerging start-up bioengineering technologies. His vision is to inspire HBN involvement and engagement. Any questions regarding writing for the Transcript should be sent to: lawrence.jones@hopkinsbio.org.